Louis Poinsot attended the school of Louis-le-Grand in Paris. He sat the entrance examination of the École Polytechnique in October 1794 but he performed poorly in the algebra assessment, which he failed. Despite this poor performance in one part of the entrance examinations, Poinsot was accepted for admission to the École Polytechnique. From 1794 until 1797 Poinsot was a student at the École Polytechnique but then he left and went to study at the École des Ponts et Chaussée with the intention of becoming an engineer. Poinsot seems to have somewhat lacked vision at this stage in his career as to what he wanted for the future. Once on the course to become an engineer, he reacted by failing to study the practical subjects and became fully engrossed in abstract mathematics. Having made rather a mess of his education, Poinsot decided to give up the idea of becoming an engineer and left the École des Ponts et Chaussée to become a mathematics teacher. From 1804 until 1809 Poinsot was a mathematics teacher at the Lycée Bonaparte in Paris. Then he was appointed as inspector general of the Imperial University. Another famous mathematician held a post with this university at this time for Delambre had been appointed treasurer to the Imperial University in 1808, holding the position until 1815. Poinsot took on another appointment, in addition to the one with the Imperial University, when he accepted the position of assistant professor of analysis and mechanics at the École Polytechnique on 1 November 1809. ... memoirs that dealt with the composition of moments and the composition of areas (1806), the general theory of equilibrium and of movements in systems (1806), and polygons and polyhedra (1809). Certainly Poinsot had been very busy during his years as a school teacher of mathematics and by 1809 he had made for himself a fine reputation. 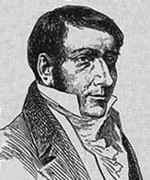 In 1812 Poinsot arranged for Reynaud to substitute for him in lecturing at the École Polytechnique and, from this time on, he did no further teaching there asking Cauchy to substitute for him after Reynaud. In September 1816 the École Polytechnique was reorganised and Poinsot lost the post which he had held in name only for the previous four years. By 1816 Poinsot had been elected to the Académie des Sciences for, on 31 May 1813, he had replaced Lagrange in the mathematics section of the Académie. The 1816 reorganisation of the École Polytechnique saw Poinsot become admissions examiner and he held this post for ten years. From 1839 until his death he worked at the Bureau des Longitudes. His research in geometry, statics and dynamics is important. He was the inventor of geometrical mechanics, investigating how a system of forces acting on a rigid body could be resolved into a single force and a couple. He wrote an important work on polyhedra in 1809 (already mentioned above), discovering four new regular polyhedra, two of which appear in Kepler's work of 1619 but Poinsot was unaware of this. In 1810 Cauchy proved that, with this definition of regular, the enumeration of regular polyhedra is complete. A mistake was discovered in Poinsot's (and hence Cauchy's) definition in 1990 when an internal inconsistency became apparent. In addition Poinsot worked on number theory and on this topic he studied Diophantine equations, how to express numbers as the difference of two squares and primitive roots. However he is best known for his dedication to geometry and, together with Monge, he contributed to the topic regaining its leading role in mathematical research in France in the eighteenth century. As well as his research in geometry, Poinsot contributed to its increasing importance by creating a chair of advanced geometry at the Sorbonne in 1846. Poinsot intended the chair for Chasles and indeed he was appointed to the new chair which he occupied until his death in 1880. Moderately liberal in his political opinions [and] he protested against the clericalism of the Restoration but later accepted nomination to the Chambre de Paris (1846) and the Senate (1852).